← Blue Massachusetts Sees Red? Under the superb direction of Artistic Director Anthony Trecek-King, the Boston Children’s Chorus celebrated today’s holiday with a glorious concert this evening at Jordan Hall in Boston. The vocal arrangements were sensitive and moving and included a tribute to the late Senator Edward Kennedy, whose unexpired term will be filled by voters tomorrow. Nowadays Hubie is back in Jordan Hall for the annual Martin Luther King Concert. If it weren’t for Hubie, there might not be such a stirring concert, and there most certainly would not be a Boston Children’s Chorus and all that it means for Greater Boston. He saw such a chorus as a way of bringing together children from different racial, ethnic and economic backgrounds to learn about singing, form friendships and have fun. And so he set about doing it, raising money, helping to identify musical talent, and making the Chorus the capstone of his long career. Today more than 350 children are involved in one of the nine BCC choruses, and the Martin Luther King Concert is seen across the country, thanks to WCVB. The chorus has gone international, to Japan, Mexico, and most recently to Jordan, at the invitation of King Abdullah. 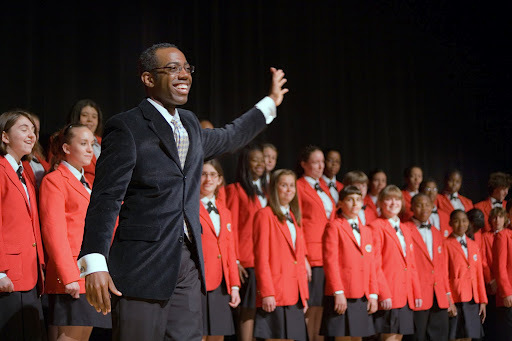 The Martin Luther King concert is a signature event for the Boston Children’s Chorus, but these “Ambassadors of Harmony” do 50 performances throughout the year that are well worth taking in. This entry was posted in Uncategorized and tagged Boston Children's Chorus, Jordan Hall, Martin Luther King. Bookmark the permalink.